Next party: Harlem LIVE with Professor Cunningham and his Old School (10 March 2018). We're serious about live music at monthly Harlem. We feel like live music, band leader Adrian Cunningham is back in town, so we're having live music at Harlem. When: 8.30pm Doors open, Saturday 10th March 2018. Where: Ashfield Polish Club, 73 Norton St, Ashfield. Cost: $25 (tickets at the door). Don't want to dance? That's cool - the club has plenty of seating, and you can even enjoy a nice dinner from the venue restaurant while you watch the band. These guys are great entertainers, so it's nice just to sit, watch, and enjoy the music. Wait, who is Adrian Cunningham, and what is his Old School? Oh, he's only one of the most popular band leaders in the modern lindy hopping world. 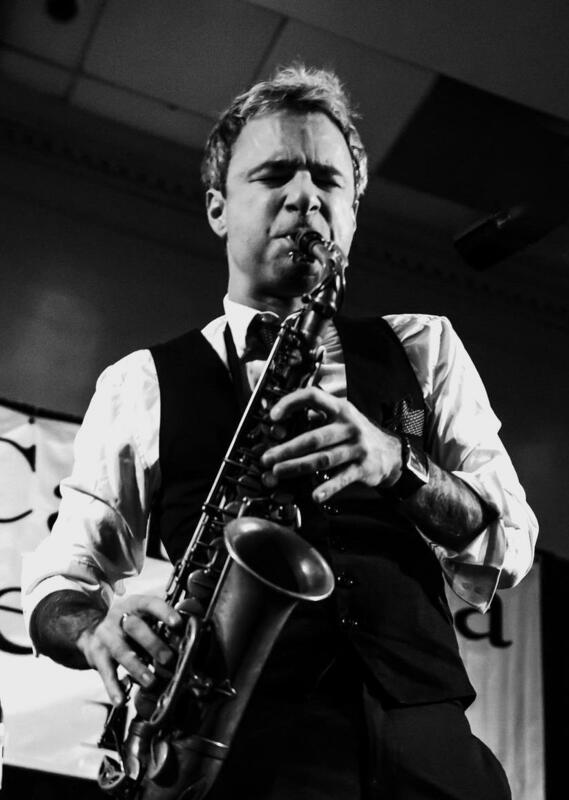 While he's based in New York, his band Professor Cunningham and his Old School has played the largest events in the world, including The Snowball in Sweden (again), Gastro Swing in Spain, Swing46 in New York, and more. Adrian plays regularly with Naomi & Her Handsome Devils, he's played and recorded with Gordon Webster... And he knows how to make lindy hoppers happy.